There is something angelic about trumpeter swans. Rare, ethereal, the size of a child, they wear robes of white feathers and course across the sky like clouds. They were once widespread in Canada before 19th-century hunters killed them mercilessly for their meat, feathers and eggs. By the 1930s, only a few dozen were left. Now Alberta has become a haven of sorts for these majestic birds. Reintroduction of trumpeter swans to Elk Island was part of a larger recovery effort. In 1946 a summer survey discovered 100 swans near Grande Prairie. They raised their young on lakes and wetlands in west-central Alberta, then migrated south to Yellowstone for the winter. A North America-wide hunting ban stopped the outright slaughter of these majestic birds, and by 1985 there were almost 400 swans breeding in Alberta’s Peace Region. Still, Alberta Fish and Wildlife worried that human disturbance and habitat loss posed a significant threat to the long-term survival of the Alberta flock. That was why, in 1987, the Canadian Wildlife Service, Parks Canada and the Friends of Elk Island Society began reintroducing trumpeters to Elk Island National Park. Also in 1987, the Alberta government listed the trumpeter swan as endangered under Alberta’s Wildlife Act. 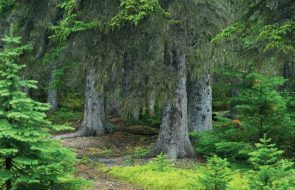 Sixteen years later, in 2003, a multistakeholder team developed a recovery plan for provincial lands where the birds’ habitat was being ransacked by residential development, recreation, logging, grazing, agriculture and the oil and gas industry. Alberta protected habitat by preventing development near water bodies preferred by breeding swans. Because the setbacks were small, Heckbert says, it was easy to get timber, agriculture and oil and gas concerns to comply. Although the guidelines don’t apply to private lands, education and outreach activities encouraged landowners to conserve trumpeter swan habitat. Conservation organizations including the Nature Conservancy and Ducks Unlimited purchased suitable habitat to protect it. South of the border, conservation efforts such as supplemental feeding protected the swans on their wintering grounds and prevented mass die-offs during severe winters. Today, roughly 1,800 adult trumpeter swans and 1,000 cygnets spend their summers on 685 water bodies in Alberta. The number of threatened species is increasing, with no meaningful law or political will to protect them. Not only have things not improved, they’ve gotten worse. The number of species listed as either “threatened” or “endangered” increased from 24 in 2009 to 33 today. The problem, Nixon says, is that there’s no meaningful law and little political will to protect species at risk in Alberta. Canada has ratified the United Nations Convention on Biological Diversity (1992), which mandates the protection of threatened and endangered species. By entering into a National Accord for the Protection of Species at Risk (1996), both the government of Canada and the provincial governments have committed themselves to establishing legislation and policy to prevent species from becoming extinct as a consequence of human activities. Alberta, however, is one of two provinces that still lack dedicated endangered species legislation. The problem with Alberta’s Wildlife Act is that it does almost nothing to actually protect species at risk. Most perplexing is how ad hoc and arbitrary the process is. The Act uses the term endangered species but does not define it, except to imply that it is whatever the minister of the day deems it to be. 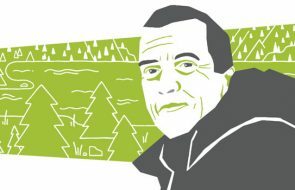 Despite the fact that the Alberta government claims 16 species are “currently listed as threatened under Alberta’s Wildlife Act” (including four species Campbell added to the list—western grebe, Athabasca rainbow trout, bull trout, pygmy whitefish—when he downlisted the trumpeter swan), there is no definition of a threatened species in the Wildlife Act nor any method described by which a species can be listed as endangered or threatened. The Act does require that an Endangered Species Conservation Committee (ESCC) make recommendations on which species should be listed as endangered. But there is no statutory obligation or a clear timeline for the minister to even respond to such recommendations, never mind list a species or develop a recovery plan to protect it from further harm. The capricious nature of Alberta’s species-at-risk management may explain why only 33 of the province’s 5,000-odd native species are listed as threatened or endangered, when Environment and Sustainable Resource Development’s own searchable database describes 453 species as “may be at risk.” The reasons for this designation, when given, include small population sizes, few occurrences and restricted distribution. In almost every case, the at-risk species’ habitat is under threat from urbanization, recreation, logging or oil and gas development, not to mention climate change. Bert’s predacious diving beetle. Bolander’s quillwort. Canada warbler. Chestnut-collared longspur. Common nighthawk. Dusky dune moth. Eskimo curlew. Five-spotted bogus yucca moth. Gold-edged gem. Greater short-horned lizard. Half-moon hairstreak. Haller’s apple moss. Little brown myotis. Loggerhead shrike. Non-pollinating yucca moth. Olive-sided flycatcher. Red knot rufa. Rocky mountain sculpin. Sage thrasher. Smooth goosefoot. Sprague’s pipit. Verna’s flower moth. Western harvest mouse. Yucca moth. Twelve of the above species are endangered, and yet the Alberta government that manages most of their habitat has not begun to protect them. This may be because the ESCC includes several representatives from groups that would be affected by recovery efforts, such as the Alberta Association of Municipal Districts and Counties, Alberta Beef Producers, Alberta Fish and Game Association, Alberta Forest Products Association, Alberta Irrigation Projects Association, Canadian Association of Petroleum Producers, Western Stock Growers Association, plus ESRD itself. While some species at risk have not been listed, others have gotten recovery plans before they were listed. In 2002 the ESCC recommended the grizzly bear be listed as a threatened species in Alberta, but for eight years the government did not accept that recommendation. Meanwhile the minister approved a recovery plan for grizzlies. The grizzly bear was eventually listed as threatened, but the government’s own status updates indicate that the habitat protection components of the recovery plan, namely restricting human access in grizzly priority areas, have never been implemented. Other listed species endure a haphazard management approach that defies logic. The wood bison, for example, once widespread across northern Alberta, was almost extirpated. Now some 800 wild, free-ranging wood bison wander Alberta’s northern forests, while an additional 3,500 live in Wood Buffalo National Park. At the federal level, all wood bison are listed as “threatened,” but in Alberta only the 400 or so free-ranging wood bison in the Hay-Zama Bison Management Area are listed as an endangered species by ESRD. Despite having that designation, the small Hay-Zama herd is still subject to hunting, and no recovery plan has ever been developed. Free-ranging bison living elsewhere in Alberta are not listed as endangered and can be shot on sight. The biggest failing of Alberta’s Wildlife Act is this: It includes no mandatory protection for the dwindling and degraded habitat on which species at risk rely. The only mandatory protective measures listed are various limitations on hunting and a stipulation that no one may “wilfully molest, disturb or destroy a house, nest or den of prescribed wildlife or a beaver dam in prescribed areas and at prescribed times.” The areas and times, of course, are up to the discretion of the minister. 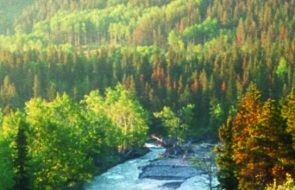 The few species-recovery success stories in Alberta tend to be outliers and anomalies that result from international action and from local efforts that don’t inconvenience industrial development. The peregrine falcon bounced back, in part because DDT was banned across the continent. The swift fox, once totally wiped out in Alberta, was brought back by reintroducing almost 1,000 animals into what is left of its prairie habitat. Likewise, the whooping crane was rescued with a captive breeding operation and the protection of its habitat in both Texas and Wood Buffalo National Park. Piping plover. Western silvery minnow. Short-horned lizard. Ord’s kangaroo rat. Small-flowered sand verbena. In every case, it’s the same story. Alberta’s prairies, foothills and forests have been fragmented and otherwise encroached upon to the point that they can no longer sustain their wildlife populations without immediate intervention. Sometimes a species is listed; occasionally a strategy is developed; maybe some voluntary guidelines are suggested to staunch a wound. But rarely is the necessary cure—habitat protection—enacted. The most obvious example of the failure of discretionary species-at-risk management, and the one that belies the government’s claim it is working hard and planning carefully to protect species at risk, is the plight of Alberta’s threatened woodland caribou population. These animals were first listed as endangered 28 years ago, but despite a series of recovery plans intended to increase the population, no action has been taken to protect the caribou’s remaining old-growth habitat. Hence, the population has plummeted. There are now only 2,000 caribou in 16 isolated herds, 10 of which are in free-fall. Meanwhile, the Alberta government, which has promised time and again to prevent the disappearance of caribou, has, since its 2004–2014 caribou plan began, auctioned off some 33,000 km2 of caribou habitat across the province (an area two-thirds the size of Nova Scotia) for new oil and gas leases. About 80 per cent of Alberta’s northeast caribou habitat is now leased for oil sands development. There is something morally repugnant about extirpating entire herds and populations of animals in an age when we should know better. And yet it is entirely likely that these caribou populations—and many other species besides—will be greatly diminished, if not extirpated. A crime if ever there were one. The tragic tale of another bird, as uniquely beautiful in its own way as the trumpeter swan, even more poignantly reflects Alberta’s failure to protect. Like woodland caribou and wood bison, greater sage grouse were once plentiful, occupying the entirety of North America’s great plains. Males are renowned for their dramatic courting ritual, puffing up their chests and inflating bright yellow neck sacs as they strut around to impress waiting females. Today, degradation of their sagebrush-dominated habitat has put these grouse at risk everywhere in North America. But nowhere is their existence as precarious as in southern Alberta and Saskatchewan, where sage grouse occupy just 6 per cent of their historical range. In 1998 the Alberta government released a sage grouse status report with a grim message: The species had experienced an 80 per cent decline over preceding decades, with a remaining population of just 320 individuals, which “may be near levels that are non-viable.” Two years later the Alberta government listed the population as endangered, but grouse numbers continued to plummet. Alberta’s Wildlife Act includes no mandatory protection for the habitat on which species rely. Why? Unlike the case of the trumpeter swan, provincial politicians couldn’t be bothered to protect sage grouse mating grounds (known as leks). Instead, the province continued to allow overgrazing and industrial development, including the drilling of 1,500 oil and gas wells in prime sage grouse habitat. Like trumpeter swans, sage grouse are extremely sensitive to human disturbance. The cumulative impacts of cows, wells, pipelines and roads increase chick mortality and force adult sage grouse to abandon what is left of their lekking habitat. By 2012 there were only 14 sage grouse males in Alberta (18 in Saskatchewan), and the overall population was estimated to be only 100 birds. By any measure, greater sage grouse recovery is a failure as grand as the trumpeter swan’s success. Just when it seemed the Alberta government would push the greater sage grouse over the edge of extirpation, however, a group of environmental organizations forced the federal government to come to the rescue. Although most plants and animals are the jurisdiction of provincial governments, the federal government has its own species-at-risk program, and the greater sage grouse has been listed as endangered under the federal Species at Risk Act (SARA) since 1998. Unlike Alberta’s Wildlife Act, SARA was designed specifically to protect plants, animals and other organisms whose existence is in jeopardy. Its listing process is more detailed and transparent than Alberta’s. SARA’s most problematic flaw is that, under most circumstances, it only applies to lands managed by the federal government, including national parks and military bases. The federal government has been known to miss obligatory timelines by years and to refuse to designate and protect critical habitat, as was the case with sage grouse. Although Ottawa has legal jurisdiction to mandate protections on provincial land, where most sage grouse habitat is located, it had never done so. Until now. Sage grouse occupy just 6 per cent of their historical range. Only 14 males remain in Canada. In 2012 Ecojustice helped four conservation groups, including the Alberta Wilderness Association, to take Canada’s minister of the environment to federal court over his continued failure to protect greater sage grouse and their habitat. Eventually the Federal Court of Appeal ordered the government to make public the decision on whether to recommend emergency protections for the sage grouse. In November 2013 the federal cabinet issued an emergency protection order to do what the Alberta government should have done 20 years ago: protect the sage grouse’s habitat on provincial and federal lands alike. The order prohibits construction or expansion of roads, fences and structures, and it forbids the operation of vehicles or facilities that make excessive noise. Despite the success of trumpeter swan recovery, and the slender hope that recent efforts will save the sage grouse, it is clear that Alberta’s Wildlife Act and most of its policies are little more than a shell game meant to hoodwink the international community into believing Alberta, and Canada, are satisfying their obligations under the UN Convention on Biological Diversity. Many experts believe the only real solution to Alberta’s species-at-risk crisis is for the government to pass legislation that makes listing species at risk and protecting their habitat obligatory rather than discretionary. When an attempt was made to contact Kyle Fawcett, Alberta’s former minister of Environment and Sustainable Resource Development, his press secretary, Parker Hogan, emailed to say that the PC government had no plans for considering a “made-in-Alberta species-at-risk law.” Instead Hogan extolled the virtues of Alberta’s species-at-risk process and emphasized the “range of options, from regulatory tools to voluntary stewardship,” that has failed the PCs for four decades. The fate of some of Alberta’s plants and animals is no doubt hopeless. If there is solace anywhere, it is in the NDP’s shocking victory in the 2015 election. Rachel Notley has promised “to strengthen environmental standards and enforcement …based on independent science and international best practices.” If there’s any truth in these words, then a “made-in-Alberta species-at-risk law” that makes habitat protection mandatory may well be on the horizon, and the deliverance of the trumpeter swan will simply be the first of many. Jeff Gailus is a regular contributor to Alberta Views and the author of Little Black Lies (Rocky Mountain Books, 2012).